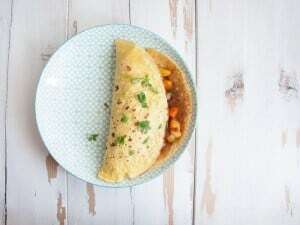 This Vegan Chickpea Omelet will blow your mind! It’s filled with roasted potatoes and arugula, topped with Sriracha Sauce & chopped cilantro. Easy to make! 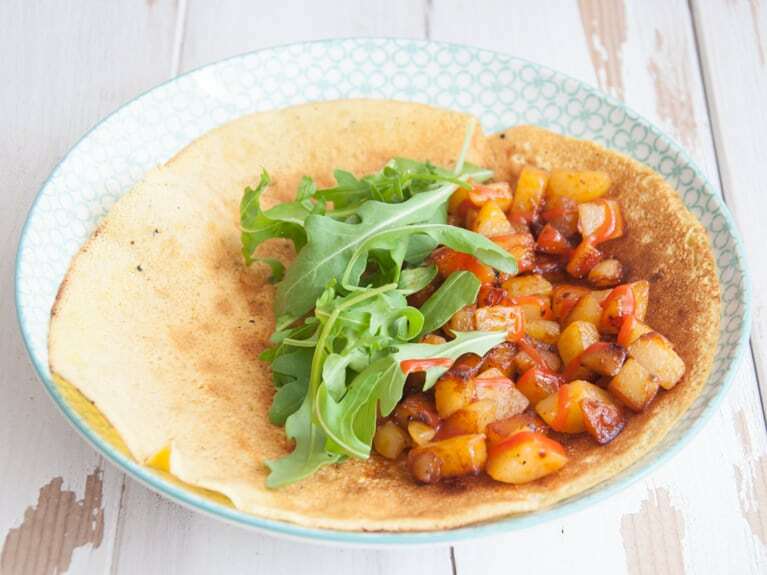 These vegan Chickpea Omelets are filled with roasted potatoes and arugula, topped with Sriracha Sauce and chopped cilantro. They are awesome as a savory breakfast or can be a quick & healthy lunch or dinner idea! I love them soo so so much! They are amazingly delicious. You can find Chickpea/Besan/Garbanzo Flour (so many names for one simple product!) in most Asia markets or buy it online (see the link below in the ingredients list)! It is a great gluten-free flour, which can be super nasty when it’s raw (at least in my opinion), so make sure your chickpea batter doesn’t have any large clumps! 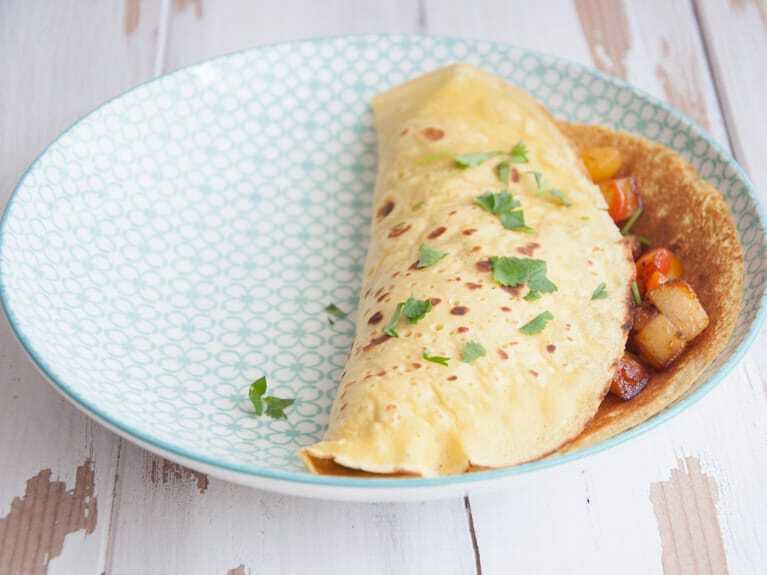 Why it this Chickpea Omelet so awesome? Well it’s because of the Kala Namak! It’s a Himalayan Black Salt. Due to its high sulfur content, it’s perfect for all dishes that benefit from an “eggy” taste and smell. Don’t miss out on that! If you don’t have it at home yet, I highly recommend it because it’s awesome in Tofu Scramble as well! 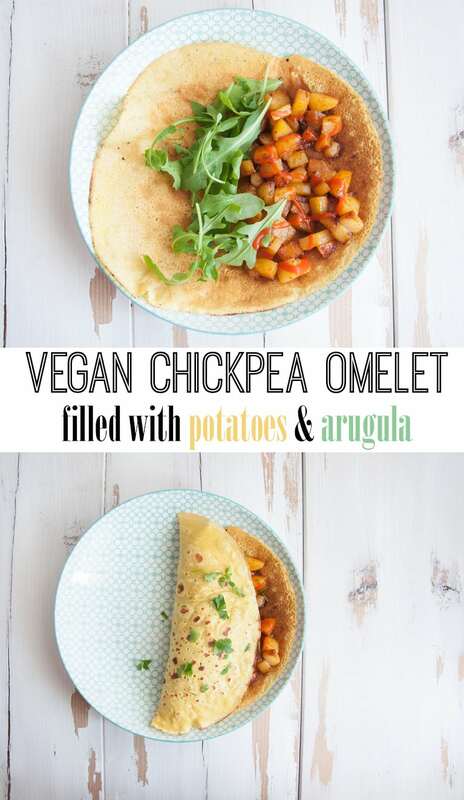 This Vegan Chickpea Omelet will blow your mind! It's filled with roasted potatoes and arugula, topped with Sriracha Sauce & chopped cilantro. Easy to make! In a bowl whisk all the ingredients (first dry, then add in the water) for the chickpea crepes. You don't want any raw chickpea flour clumps. Set aside for now. When the potatoes are getting ready heat up a crepe pan (you can add a little bit of oil) and pour in half of the chickpea batter. Tilt the pan until it is coated. When the sides losen up and there are small bubbles in the middle, you can turn them. Leave them for about 1 minute on the second side. Repeat for the other chickpea omelet & assemble! I've added Sriracha Sauce to mine, because I like them a bit spicy - leave it out if you don't feel like it! Don't forget to sprinkle chopped cilantro on top of the Chickpea Omelet for the taste (and the looks!). I love the whole concept with the fresh greens and the omelet outside, but those potatoes look SO tasty! Perfectly seasoned and crispy and tender, I just scrolled up to stare hungrily at them again :o The chickpea flour omelet is awesome because it’s kind of like half tortilla half omelet, but still has that ‘eggy’ taste! I heard someone else talking about the black salt recently, such a neat vegan ingredient! I looked at your post…then had to have lunch. Now I can finally read it with a full belly. Otherwise I’d have been drooling all over my keyboard :) This sure looks delicious! I think it’s about time I get myself some chickpea flour and join the club. My list of “elephantasticvegan recipes to try at home” is ever-growing. Loving it! Yum, this looks so good! Chickpea flour is awesome for so many things. I’m going to have to get some black salt soon! I keep hearing how awesome it is. Thank you and you’re very welcome, Melissa! I can appreciate the vegan life style; I had a vegan girl friend that I moved in with right out of high school and I ate vegan food only at home(Mostly because I couldn’t cook to save my life). 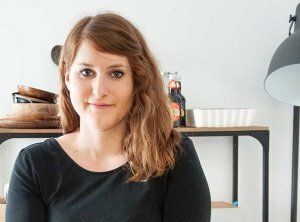 I have just noticed that this is a Vegan website. I meant no offense, but I was sent here from an article exploring many different omelet recipes.